Chris Forsberg has done a fine job establishing himself as an animal behind the wheel of a drift car, so I guess I’m not shocked to see he’s got great taste in tire-torching vehicles in general. 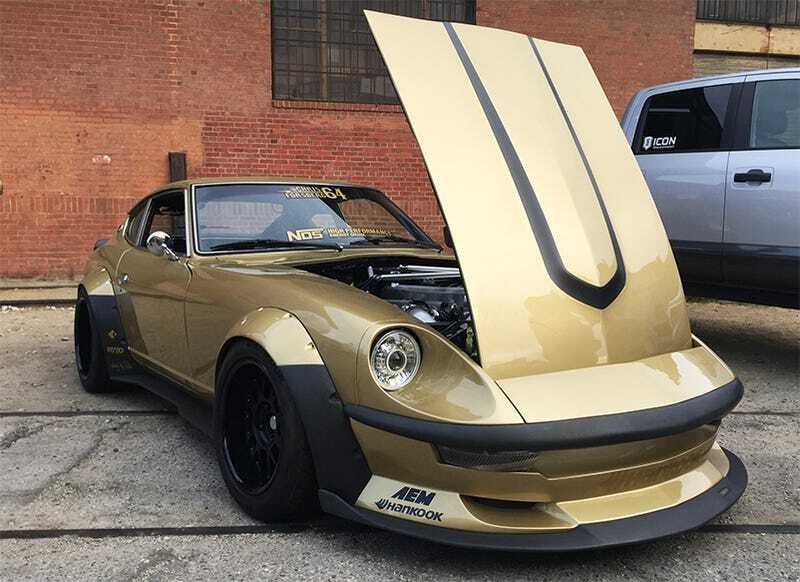 At Nissan’s corner of this year’s LA Auto Show, he showed us around this striking Skyline-powered Datsun Z. This 280Z was amazing when we first saw it a couple years ago, now it’s had a whole other healthy dose of upgrades and is at pretty high risk of stealing the show away from Nissan’s new Sentra Nismo.